Our climate is changing and we must prepare for these impacts. 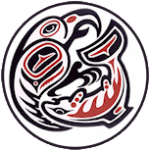 The Jamestown S’Klallam climate vulnerability assessment and adaptation plan identified key tribal resources, the expected impacts from climate change, and created adaptation strategies for each resource. The sea level rise maps are for three time frames, near (low), mid-century (medium), and end of century (high). 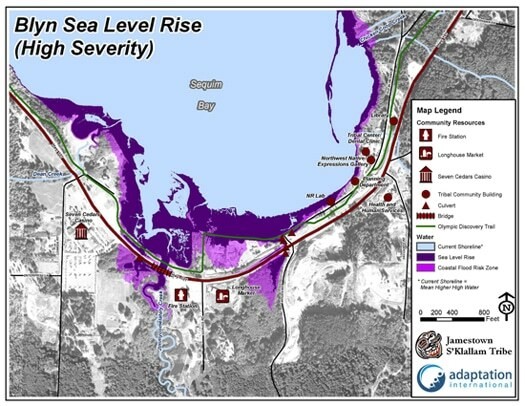 The maps cover marine shorelines at the south end of Discovery Bay, south end of Sequim Bay, the Jamestown Beach tribal community, and the shoreline development west of Jamestown to the Dungeness River.